Journalist Charles Nordhoff, wrote those words in his book, California: A Book for Travellers and Settlers, published in 1873. Nordhoff was on to something. “During the period 1913-1915 olives were the largest cash crop in the Fallbrook area,” wrote the late Don Rivers of the Fallbrook Historical Society in a 1998 essay which can be found in the society’s archives. Photo credit Fallbrook Historical Society. 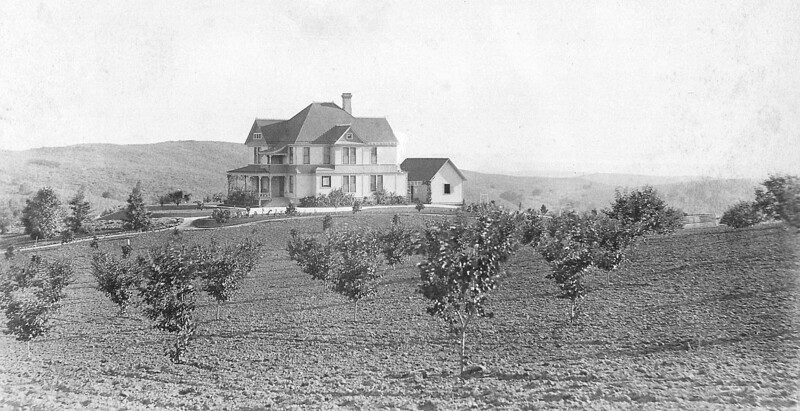 The ranch harvested 150 tons of olives in 1910, according to an article in the March 1911 issue of the newspaper Fallbrook Enterprise. By the middle of the twentieth century the olive would be eclipsed in local importance by citrus and avocados. Today scattered groves of olives remain, along with street names like Olive Hill Road and Olive Avenue, as reminders of Fallbrook’s olive days. In addition to the Nordhoff book, sources for this post included the archives of the Fallbrook Historical Society.